Thanks to my husband’s ingenuity, you can make your very own homemade bouillon cubes following this simple recipe. 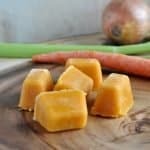 Made with the leftovers of your homemade stock or broth, these healthy bouillon cubes are budget-friendly and add an incredible layer of flavor to soups, casseroles, stir fry, gravies, even sides like mashed potatoes! Goodbye, store-bought yucky squares! Homemade bouillon cubes are simple to make, especially if you’re already used to making homemade broth or stock. Such a relief not to have to buy those who-knows-what’s-in-there store bought bouillon cubes anymore. I don’t know about you, but I always felt a little icky when I made a recipe calling for bouillon cubes. 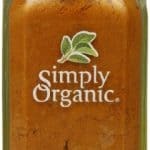 It was a “mystery ingredient” to me – I didn’t feel good about what was in it, but I didn’t think it was possible to make myself. Even though I felt iffy about using store-bought bouillon cubes, there were so many recipes I loved that needed them and I didn’t want to give those recipes up. Thankfully, my husband (a.k.a. the Soup King) figured out a simple and delicious process for making our own. First, the run-down on why you want to make a store-bought bouillon cube substitute in the first place. 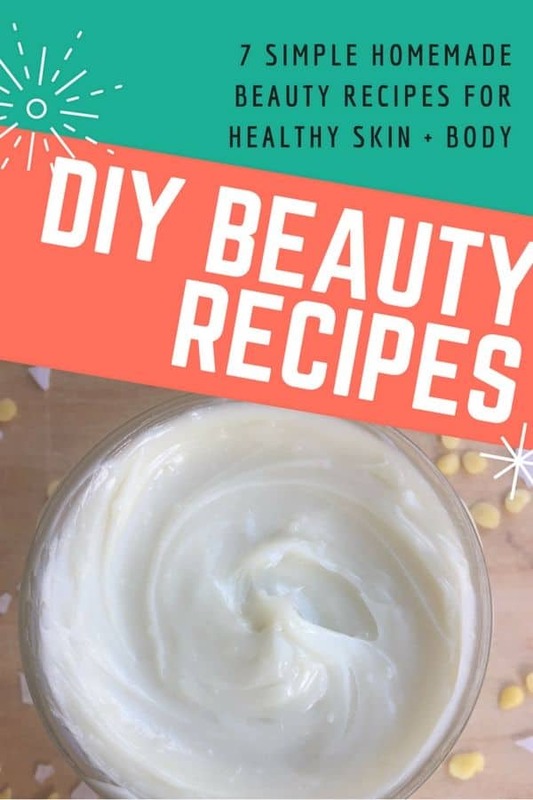 There are several questionable ingredients listed here, but the most alarming one to me is that monosodium glutamate (MSG) is the #2 ingredient! 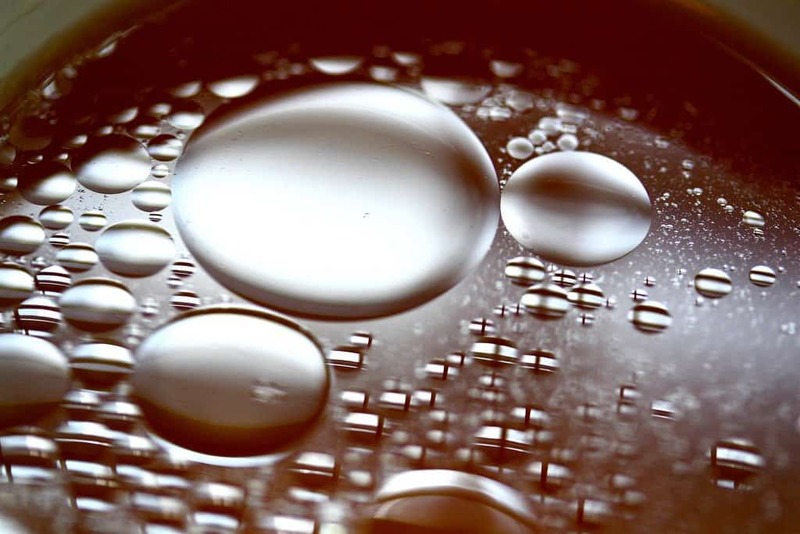 With time, these repetitive inflammatory responses cause our nerves to start producing more and more nerve cells that are sensitive to this kind of stimulation. 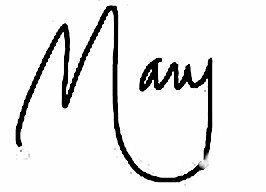 The more overly-sensitive nerve cells we have, the stronger our immediate response to MSG will be. I don’t know about you, but I’d rather eat ingredients I can pronounce that are actually good for my body. In contrast to store-bought cubes, these homemade bouillon cubes are healthy as can be! 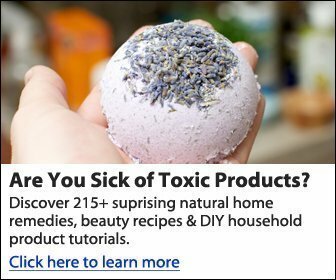 Not only are they free from toxic ingredients, they are filled with nourishing ones. The only ingredients are veggies, garlic, salt, and bits of chicken meat. 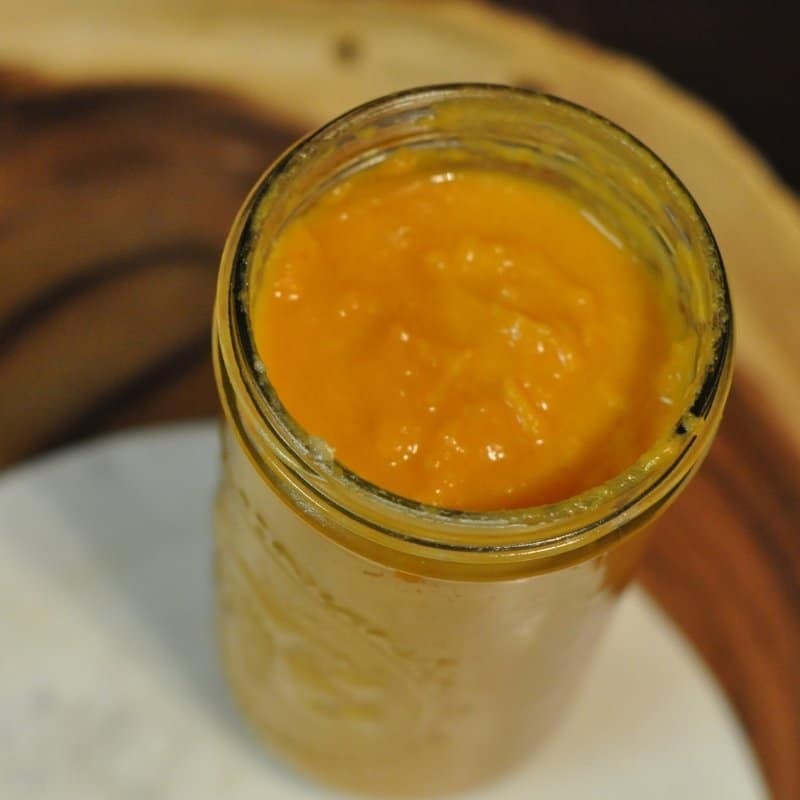 Puree it all with an immersion blender, freeze, and you’re done! 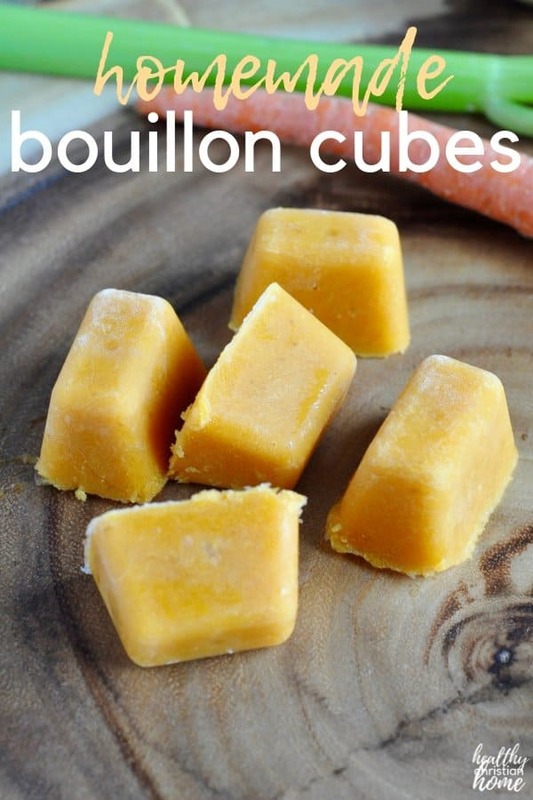 Here’s the step-by-step process for making your own bouillon cubes! First, make homemade chicken or beef stock as usual. Add your whole chicken (or just the bones and veggies), cover with water and simmer for several hours up to a day. 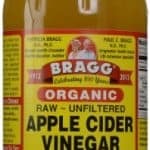 1 Tbsp apple cider vinegar (also helps draw nutrients out of bones – optional). Extra tip: I keep a zip lock bag in the freezer for vegetable scraps when I’m cooking. I’ve used cabbage, broccoli, onions, carrots, even apple scraps. I also add bones and skin from rotisserie chickens, beef bones, etc. to the bag. Keeping all your scraps reduces waste and makes your end product even better. Once the bag is full, you can add it to the stock. After your stock is finished simmering, start the process of making the bouillon. Remove the garlic bulbs, setting them aside to cool. They should still be intact. While you strain the broth, pick out the veggies: carrots, onions, celery plus any loose pieces of chicken. 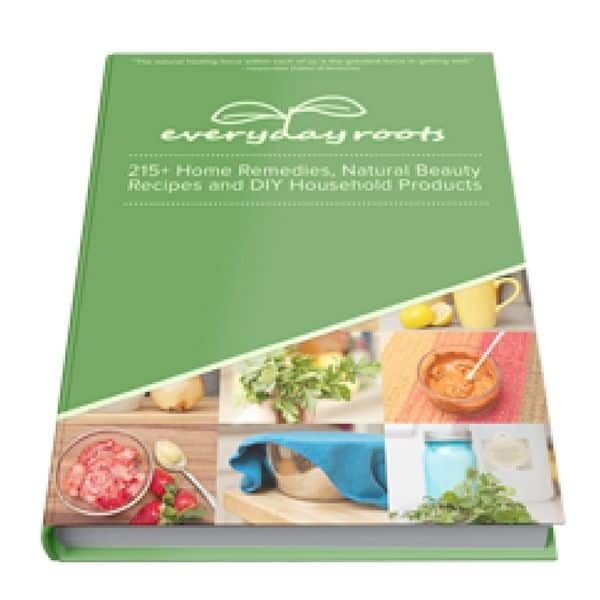 You can also retrieve the liver, kidneys and any large pieces of veggies and add them to a jar or mixing bowl. You can make the bouillon cubes with or without muscle/organ meats. Strain the broth, salt to taste, and pour into mason jars. Set aside one cup of stock to use in making your bouillon cubes. 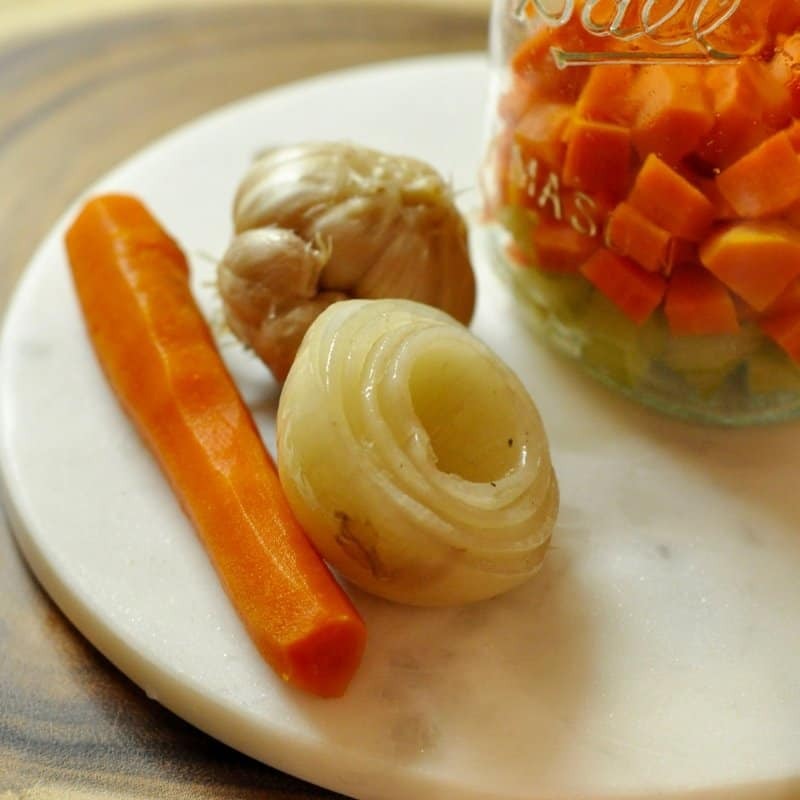 Once cool, freeze the jars for later use in soups, stews, and sauces. Retrieve your container full of yummy goodness with the veggies, chicken bits, and fat/marrow. Now take your cooled garlic bulbs (the KEY to the taste of your boullion cubes) and remove the skin. To do this, squeeze the individual cloves and the garlic will ooze out like butter. Add salt to the veggies and garlic, and add the cup of broth. Now blend it up with your immersion blender. Pour the mixture into your ice cube trays and freeze. Once frozen, place the cubes in a freezer bag and you are done! To use in your recipes, use one homemade bouillon cube in place of one store bought cube. Enjoy your recipes even more, knowing they are made with the freshest and most nutritious ingredients! 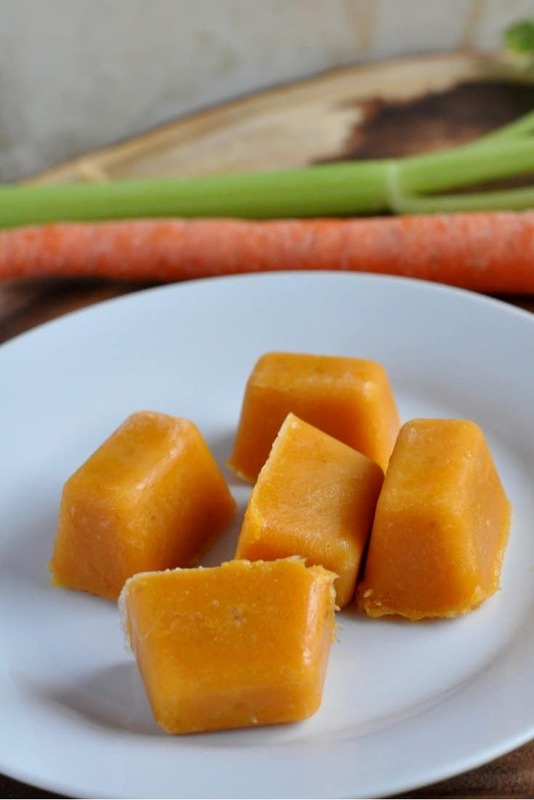 Homemade Bouillon Cubes: Ditch the Toxic Store-Bought Cubes! 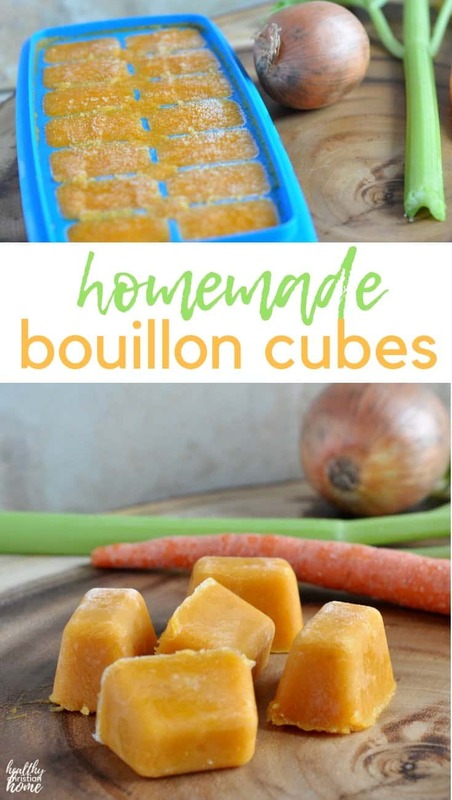 Homemade boullion cubes made with veggies, garlic, bits of meat, and broth add the perfect flavor to all your favorite recipes! These taste so much better than store-bought, with no artificial ingredients like MSG. Add all ingredients to a large stock pot and cover fully with fresh filtered water. Simmer several hours. If using a whole chicken, remove the meat at this point. Continue simmering broth all day (up to 8 hours), if desired. Strain broth and remove bones, conserving all the soft veggies in a large bowl. Add a few chicken pieces and organ meats to bowl if available (optional). Reserve 1 cup of broth for later use. Carefully squeeze individual garlic cloves out of the peel and into the bowl. Add 2 TBSP salt, adjusting if needed. Bouillon should be quite salty to taste (we are using this to add flavor to all our recipes). Use your personal preference here. Add 1 cup of strained chicken broth to your bowl of veggies. Using an immersion blender, puree everything until smooth. 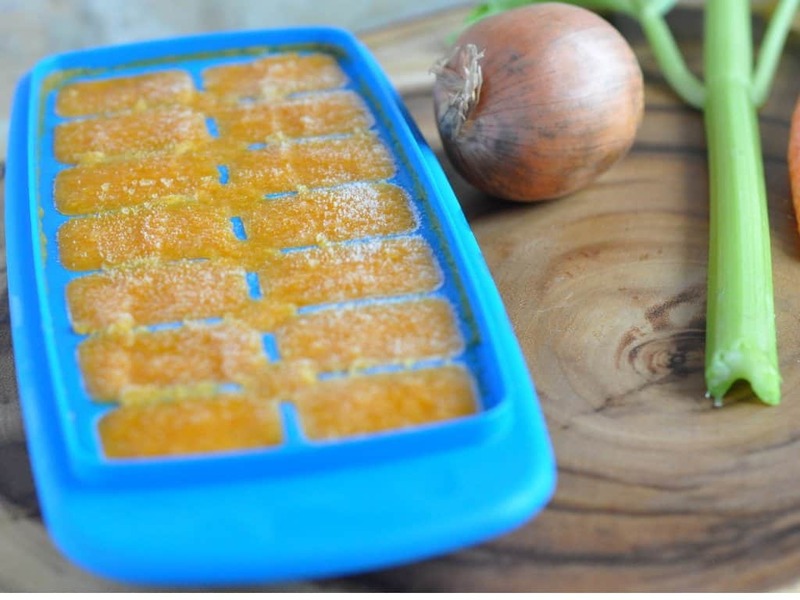 Fill ice cube trays with your bouillon puree and freeze. Once frozen, cubes can be stored in a ziplock bag in the freezer. Use one homemade cube to replace one store bought cube in any recipe. Do you use store-bought bouillon cubes? If you enjoy this recipe, please leave a recipe rating in the comments! 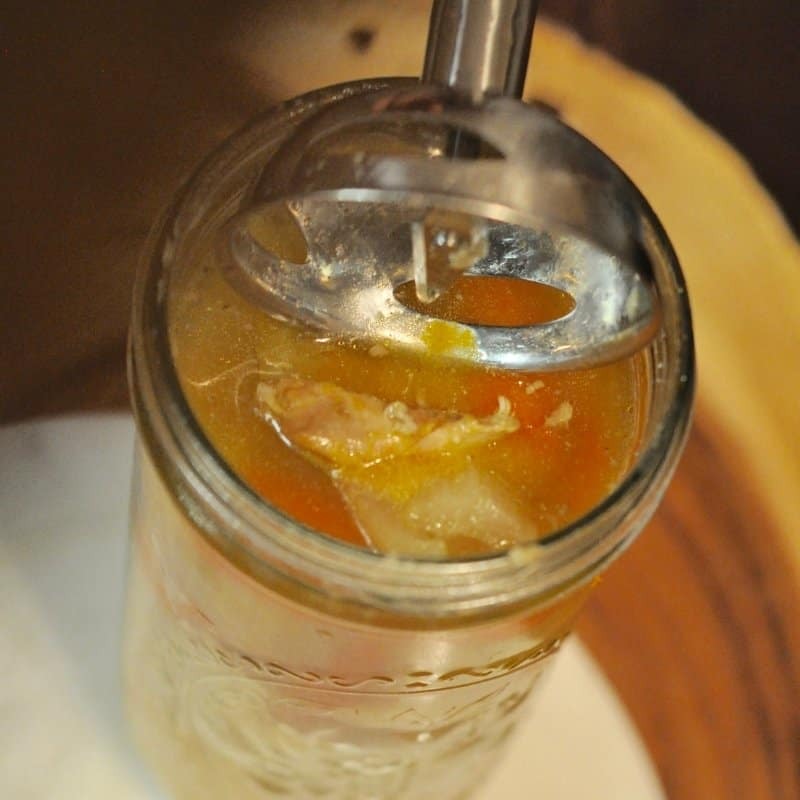 This is excellent idea, I always struggle to have a homemade bouillon at hand and this is genial solution. I just wonder why I didn’t come up with this before? Hope you enjoy, Mervova! They are yummy!